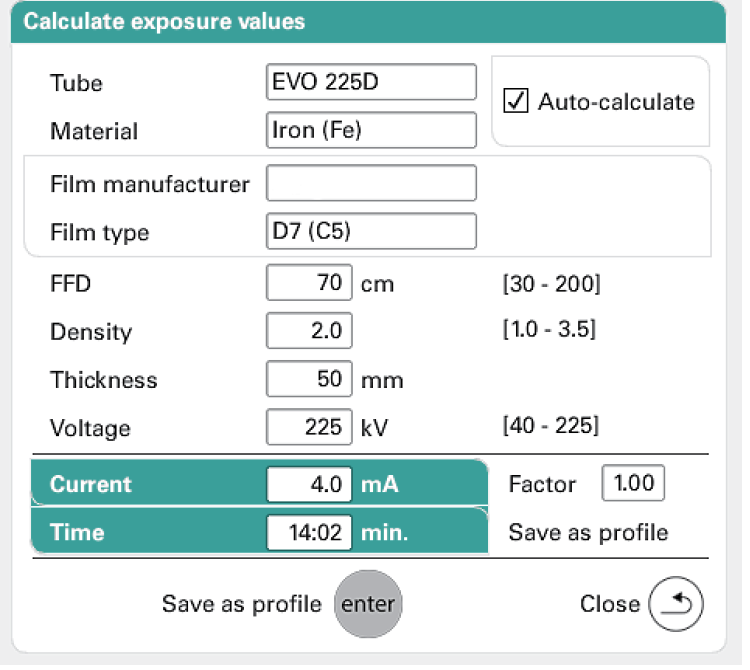 The advanced built-in exposure calculator ensures fast exposure calculations and uniform results. It can calculate the minimum required film focus distance optimising the exposure time. It accommodates the use of a wide range of films, materials and settings.